The George W. Bush Presidential Center is scheduled to be dedicated Thursday in a gathering that will include the four former U.S. presidents and the nation&apos;s current chief executive, whose future library is the subject of jockeying and speculation here in Chicago. 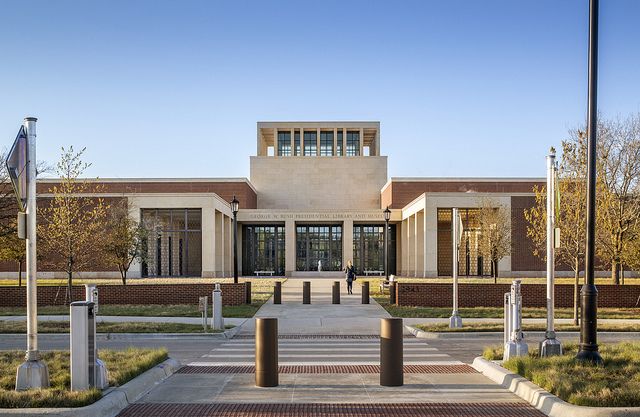 Designed by architect Robert A.M. Stern, the $250 million center located in Dallas looks to be a sober and traditional building—conservative, if you&apos;ll pardon—that matches the SMU campus. Inside there is a policy institute, an auditorium, archives, a restaurant and more. The library sits on 25 acres including a 15-acre Texas prairie recreated by landscape architects Michael Van Valkenburgh Associates, designers of Chicago&apos;s Maggie Daley Park under construction east of Millennium Park. Assuming a Barack Obama presidential library is built in Chicago, what lessons are there for the president, its backers and the city? Building a more visually daring piece of architecture, first of all. 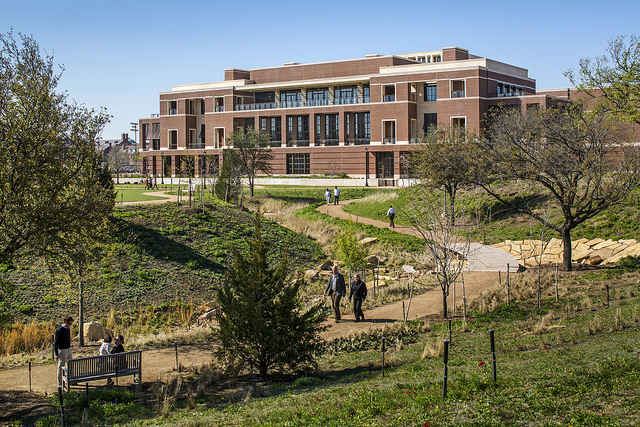 Judging from the photos, the Bush library is solid, if a bit dry. 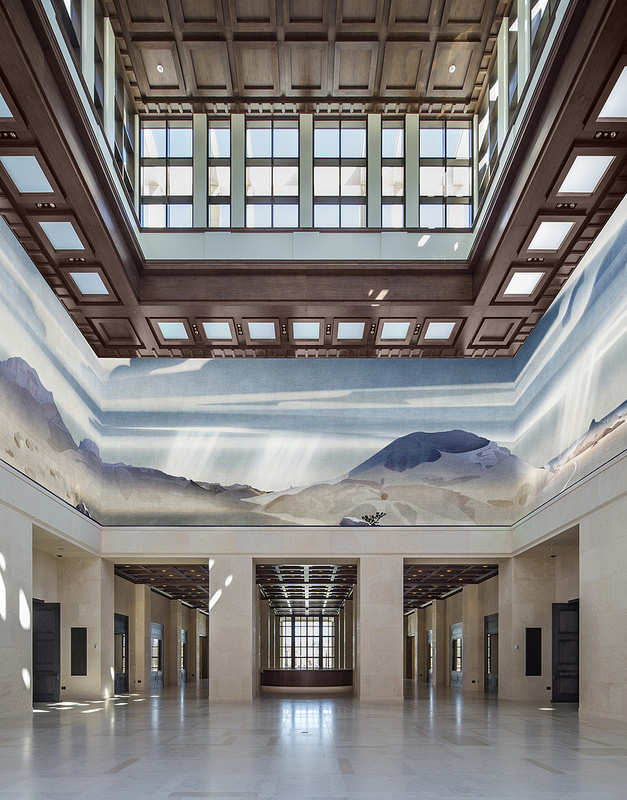 Architectural Record&apos;s Ingrid Spencer was dead-on when she wrote last week the library does not "symbolically suggest the fact that Bush was the first president of the 21st century." And for Chicago, the existing presidential library program—museum, archives, foundation and an institute under a single roof on the big, park-like grounds of a host university—might have to be thrown out. If the University of Chicago, as expected, decides to take on an Obama library, there aren&apos;t 25 acres to spare in congested Hyde Park without demolition. An urban model such as a mid-rise complex or two with open space could be an option. The former Michael Reese Hospital site has been suggested. At 48 acres, the parcel is big enough to accommodate a presidential library, but who pays off the albatross-like $91 million loan the city took out to buy the property in the failed 2016 Olympics bid? The loan amount is more than half the cost construction cost of the William Clinton Presidential Center in Little Rock and $50 million more than the entire price tag of the George H.W. Bush presidential library in College Station, Tex. Just after the 2008 election, I suggested the former Pullman Factory and Administration building at 111th Street and Cottage Grove Avenue as the site for an Obama library. The state owns the land and could easily donate it. The project could preserve and reuse the former factory while accomodating exciting new spaces and parkland. And given Obama&apos;s community organizing career was launched in the area—he used to hold strategy meetings at a McDonald&apos;s four blocks south of the Pullman factory—the library would be a bit of a homecoming. 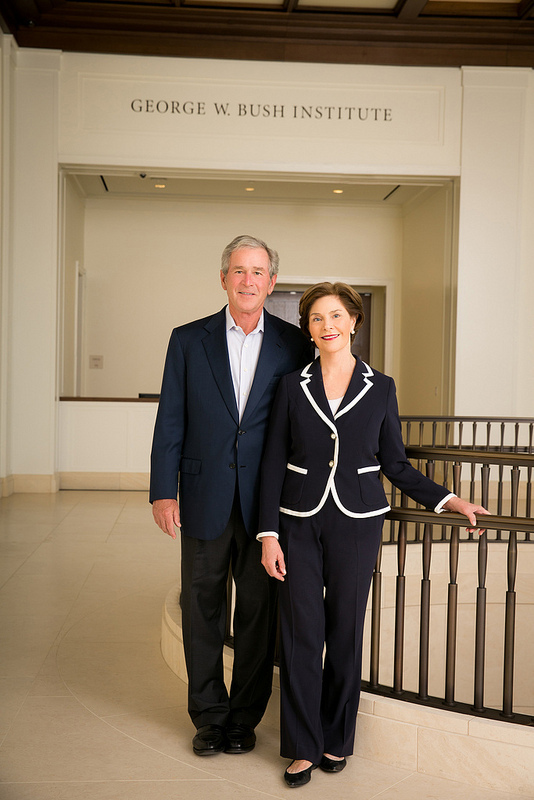 The new Bush library officially opens May 1.